Every now and then a LinkedIn discussion is started by a jobseeker, asking what people think about one-way video interviews. In most cases the one starting the topic thinks negatively about video interviews OR have never even gone through the process. This encourages to discuss about the method, which is good! While majority of the comments might be of negative nature, there are a lot of jobseekers that think the opposite. 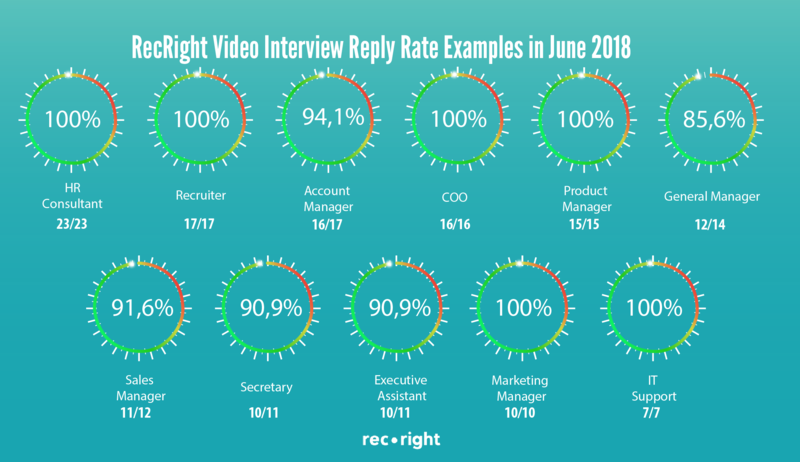 Let me give some anonymous but certainly real world data from June 2018 on RecRight video interview reply rates, meaning the ratio between invited and replied candidates. Probably majority of the candidates felt a bit anxious when starting the interview, but they still did it. Biggest pain reliever for candidates is the option to re-record their answer (we’ve written about re-takes earlier). One thing is a fact, those who would said “Bullsh**, I’m not doing this”, dropped out from the process. Looking at the invitation volumes above, we can see that they are generally considerably higher than the hiring manager would have time to interview in person. Someone always is the strongest candidate based on CV, and would have been invited to f2f interview anyway. How about the rest of the good candidates, quite often being hard to draw difference between? As a candidate, receiving a video interview invitation should be good news, it means that you we’re chosen for next round from the CV pile. Now the recruiter wants to know more about you, and get more material to make a decision who to go forward with. Supporting the candidates who end up having technical problems. Candidates who replied to an interview, are always asked about how they felt after, and 83% say they were somewhat or very satisfied with video interviewing as a method. More stats can be found in Candidate Survey 2019 (over 37k replies). Now that video is invading the internet (Facebook, LinkedIn, Instagram), video in recruitment will certainly become more common every day. 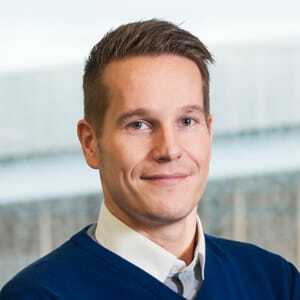 We have prepared some tips for those, who are creating their first video interview. Tip to jobseekers: start practising now with your mobile phone or laptop, recording yourself and getting used to listen and watch yourself on video. Tip to employers: start video interviews now, they boost your employer image, bring more suitable candidates to f2f interviews, shorten hire lead time while saving money at the same time! As a start, you could try our video recruitment tool, free for 14 days and see the benefits for yourself!